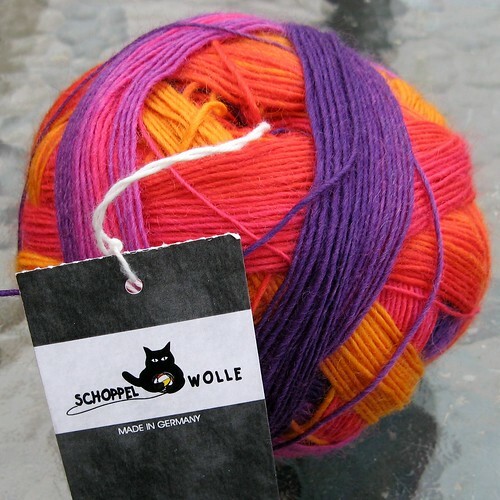 Way back in March, I bought this super-colorful Zauberball at Mind’s Eye Yarns in Cambridge, MA. 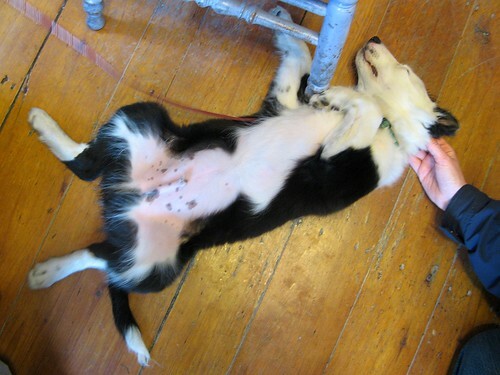 I had been on a socialization trip with my puppy, Clewe. The owner was kind enough to invite him inside! I took so long to decide on a color, he actually fell asleep upside down on the shop floor. Aw, cute! I tried several different patterns with the Zauberball, with no luck at all … until I decided to try it for the BLK’s September KAL: Sun in Cold Water by Julia Faranchuk. 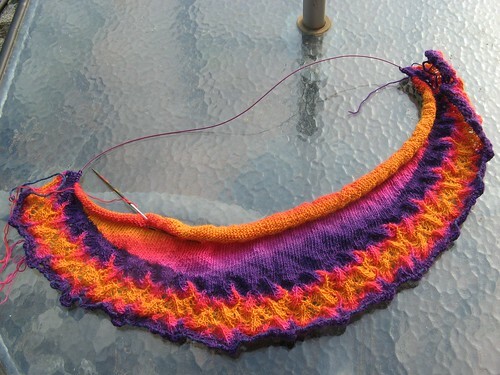 I cast on Sept 1st, and I’m zipping right along with the pattern. The colorway is SO much fun — a little out of my usual palette, but there’s nothing wrong with that! I can’t wait until it’s done and I can block it out.